Tadi Brothers’ Premium SD Mobile DVR with Side Cameras (3 Camera System) adds an extra layer of protection to your driving experience, by recording your every move. 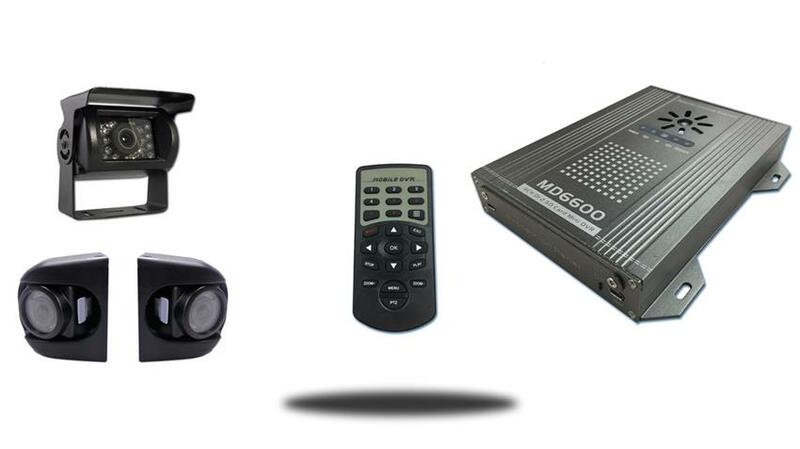 This three-camera system features a DVR with an easy-to-use GUI that can be configured in a matter of minutes. It also features a built-in monitor, making this a comprehensive all-in-one system. Enjoy the ability to connect up to four cameras at once, so everything inside and outside the car will be captured. The Premium SD Mobile DVR with Side Cameras (3 Camera System) has a maximum recording rate of 120 frames per second, H.264 video encoding and can even be exported to a computer, if you desire. Plus, it easily connects to any power source in your car and the DVR conveniently records onto an SD card. Each of the three CCD cameras has a 120 ° viewable angle, military-grade night vision and is highly durable, with the ability to weather even the most extreme inclement conditions. Purchase the Tadi Brothers Premium SD Mobile DVR with Side Cameras (3 Camera System) and take the guesswork out of driving. The premium side camera has a 120° Degree viewable angle, its waterproof and has auto night vision. It also swivels so you can point it in the best spot possible. The side camera is perfect for any long RV or Bus. You can mount it onthe side facing front or back any see everything in crystal clear quality. You need help parking? This is for you! You need help changing lanes on the freeway? This is a must! "I purchased a 2 camera system from Tadibros and 4 months later I called and the salesman promised if I added a mobile DVR it would be a simple install. To be honest it took 10 minutes to set up and start seeing it on my screen. "